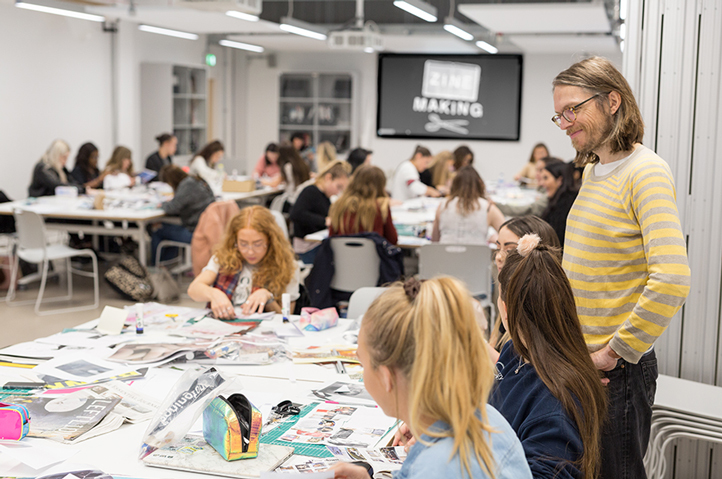 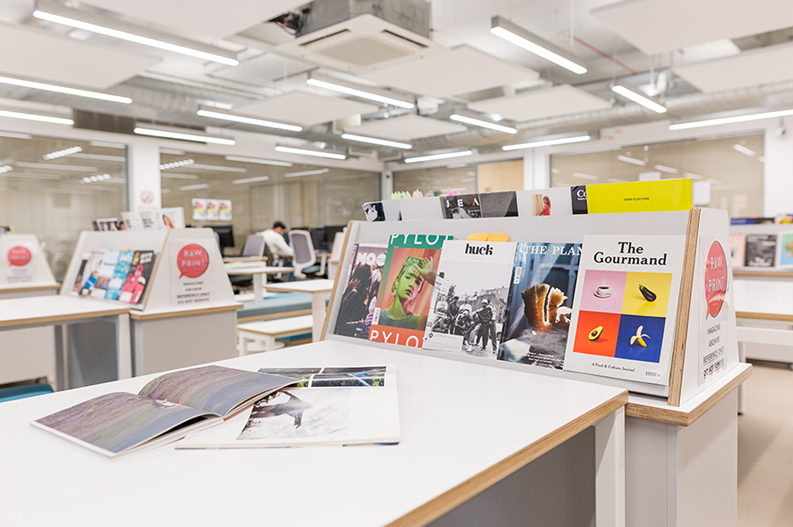 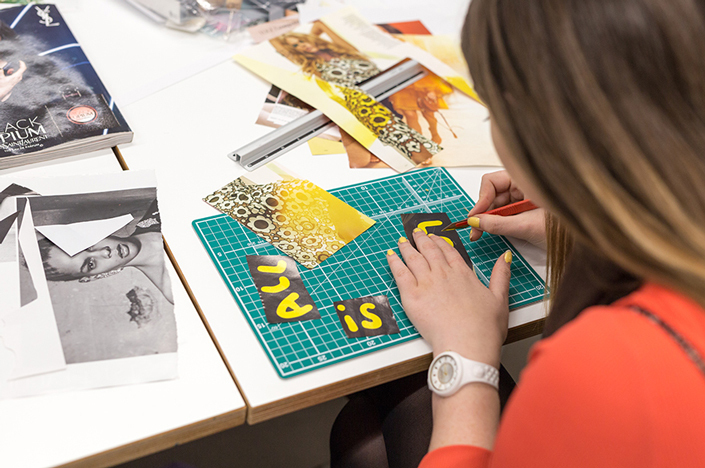 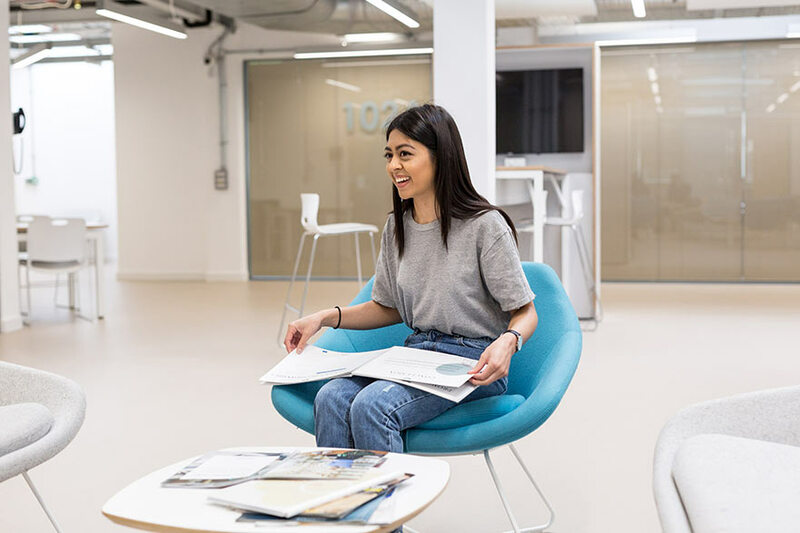 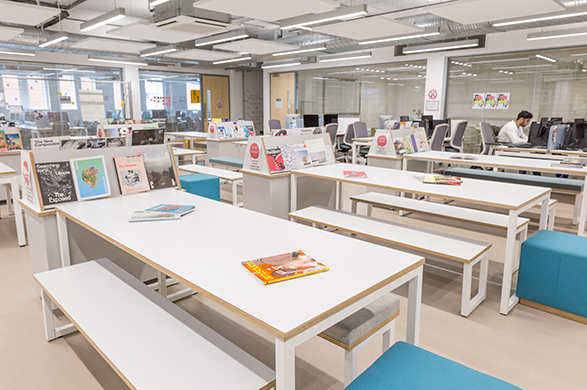 Following its recent completion, the School of Art & Design opened the Barnes Wallis building, offering a dynamic and creative hub with modern teaching spaces designed to encourage collaborative working across our Fashion Management, Marketing and Communication (FMMC) courses. 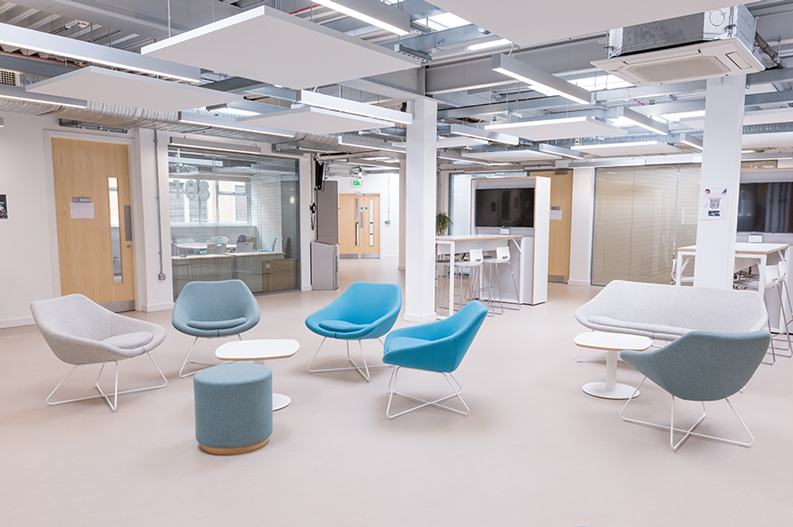 The building is equipped with over 60 Macs and is the ideal space to discuss your creative ideas with your tutors, work on group projects or simply meet up for a coffee with course friends. 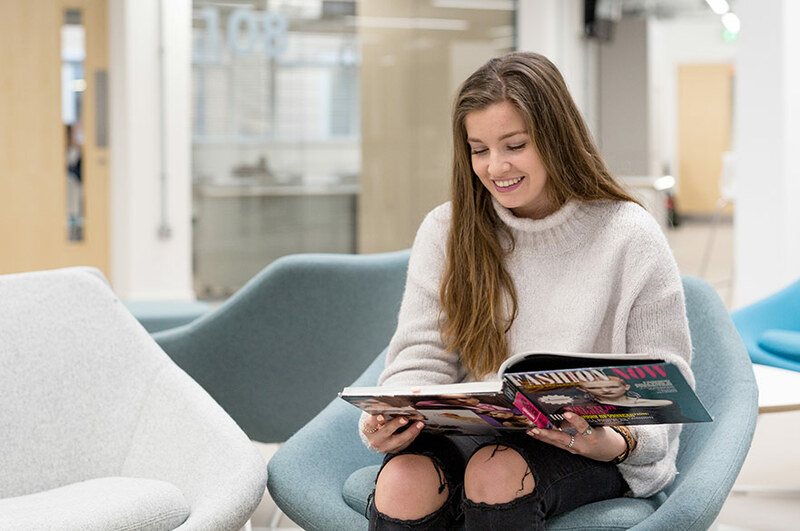 Watch our recent Facebook live video for a virtual tour of Barnes Wallis and to hear what our current FMMC students enjoy about their course. 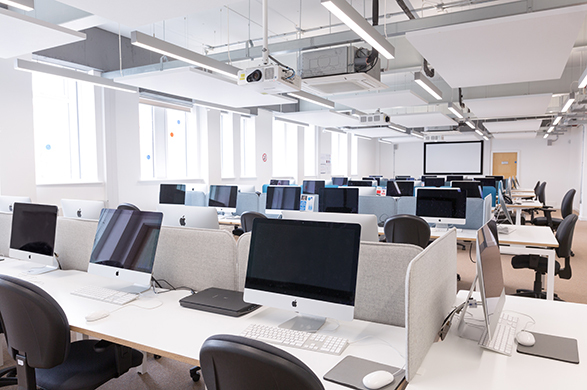 "It's great to have a building dedicated to FMMC students - it has many Macs that are available to use as well as collaborative spaces that are useful for group work." 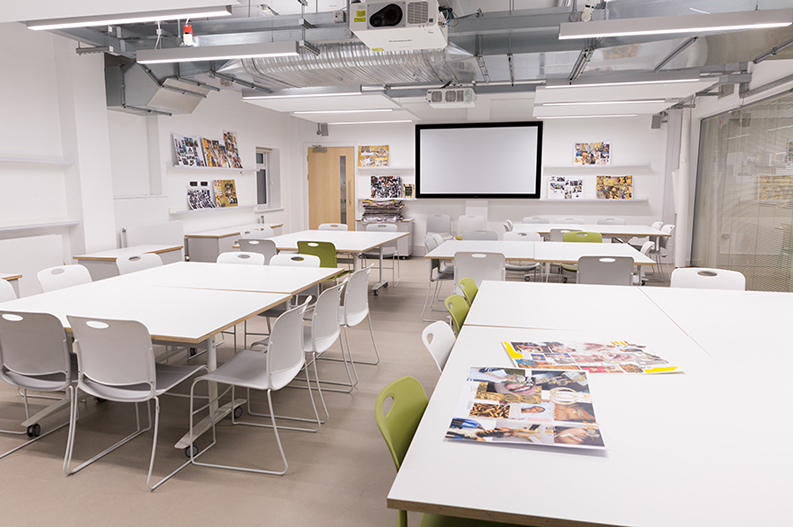 "The Barnes Wallis building is well equipped and is a nice, modern environment to learn in."